Totus Tuus is coming to STA this coming June 9 through 14. 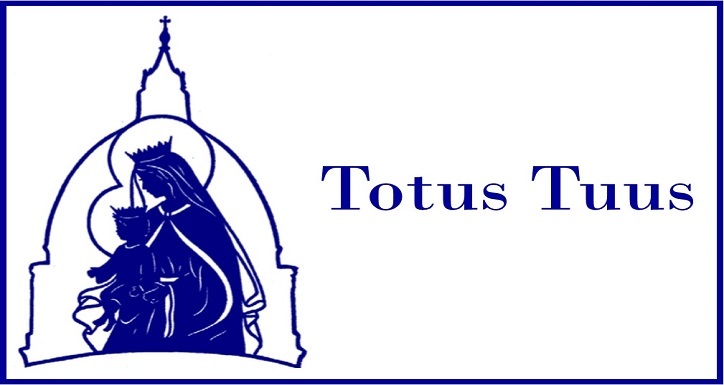 Totus Tuus is a summer program for young Catholics, which promotes our faith through sharing the Gospel, catechesis, evangelization, Christian witness, and Eucharistic Worship. Adoration: Sunday 2:00 p.m. through Friday 6:00 p.m., except Sunday 6:00 - 8:00 p.m.; Wednesday 6:00-7:00 p.m.; Monday through Friday 6:00 - 10:00 a.m.
Holy Spirit Study - "The Wild Goose"
Sunday: 7:30 am, 9:00 am, 10:30 am, 12:00 Noon & 6:30 p.m.
Sunday 2:00 p.m. through Friday 6:00 p.m., except Sunday 6:00 - 8:00 p.m.; Wednesday 6:00-7:00 p.m.; Monday through Friday 6:00 - 10:00 a.m.